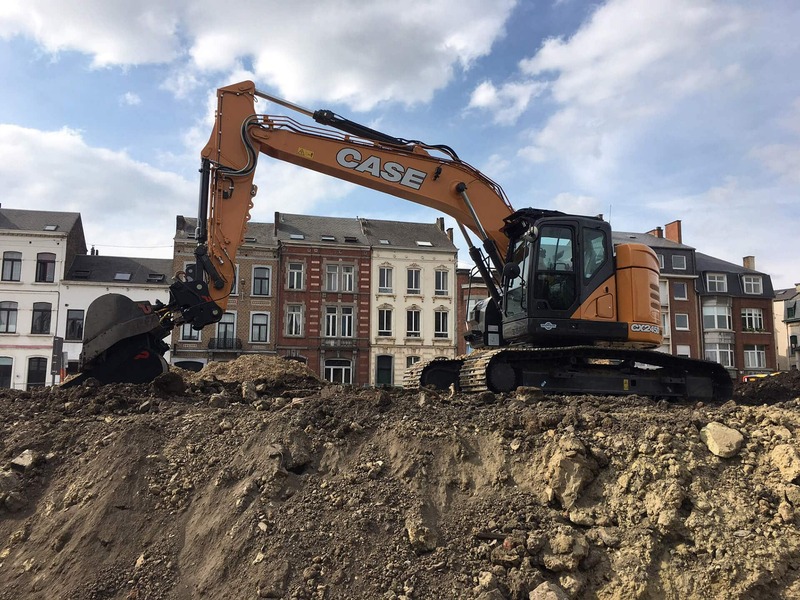 The first CASE CX245D SR minimum-swing radius excavator was delivered to Terrassement Berger and is already at work on a jobsite in Flémalle, Belgium. 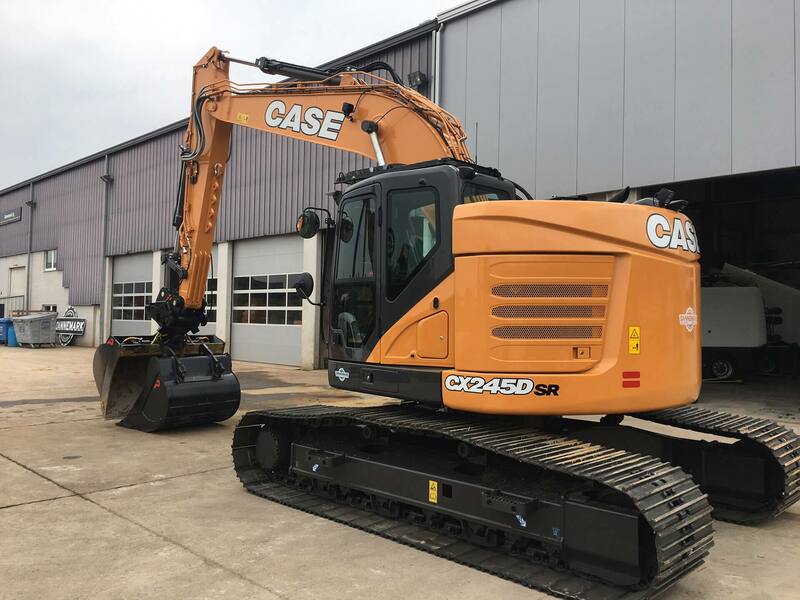 CASE Construction Equipment delivered the first CX245D SR excavator, which was very recently introduced into the brand’s D Series line-up. 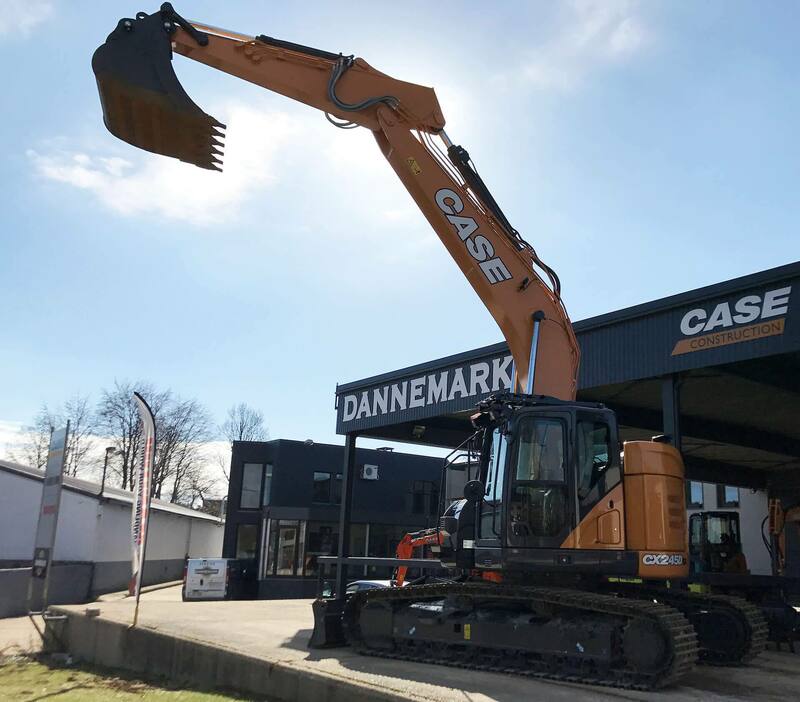 Customer Terrassement Berger purchased this minimum-swing radius model even before it was launched, following the advice of their trusted CASE dealer, Dannemark SA. Terrassement Berger is a construction company based in Crisnée, near the city of Liège in Wallonie, Belgium. 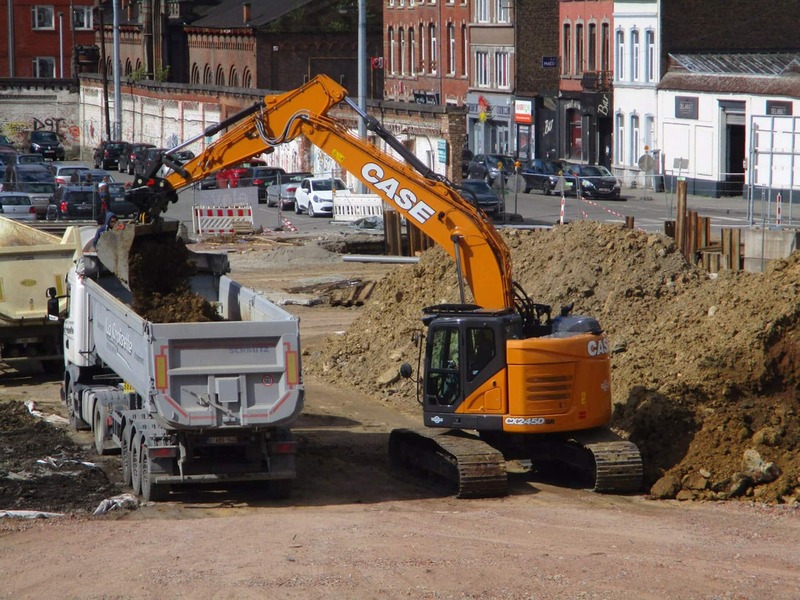 They specialise in earthmoving work, both in urban and extra urban jobsites. They wanted a machine that would enable them to expand the type of jobs they took on, and undertake new, bigger challenges. 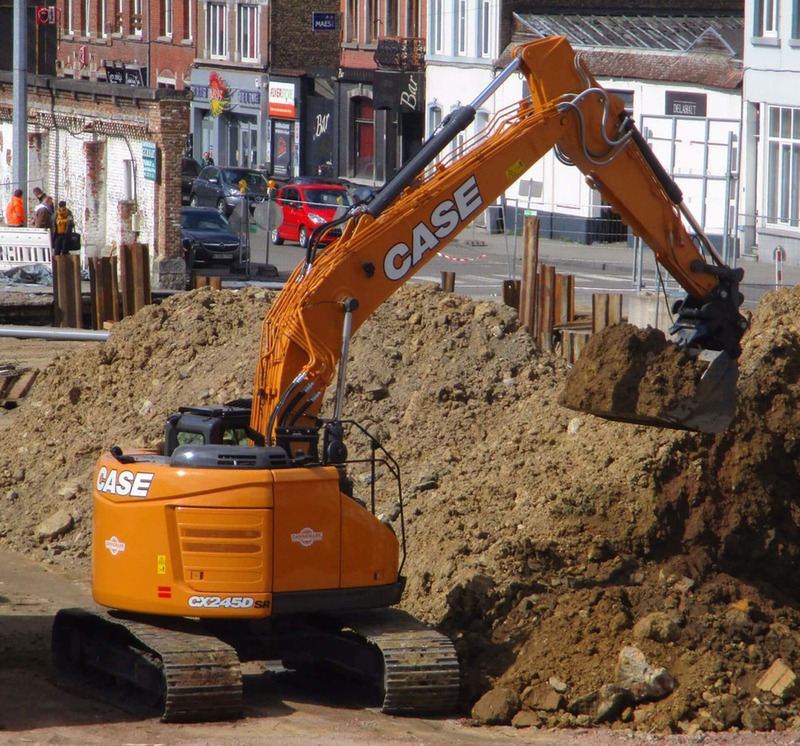 For this they needed a very powerful and very compact machine capable of working in densely populated areas in city centres. The all-new CX245D SR minimum-swing radius excavator is designed to provide increased digging and lifting power in confined work areas. 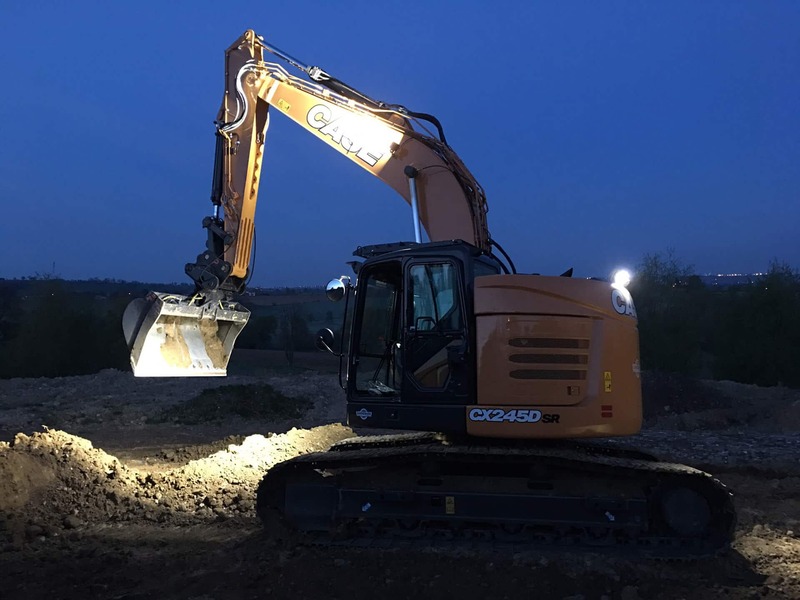 The compact counterweight and modified boom placement minimise the machine’s footprint, making it a highly productive and manoeuvrable excavator that’s ideal for restricted conditions. 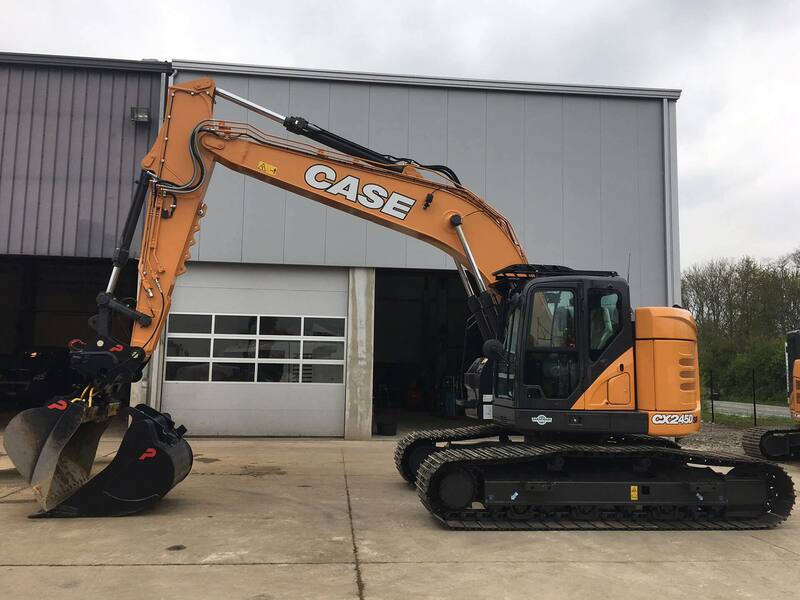 With an operating weight of 26 tons and a 160 HP Tier 4 Final/Stage IV engine, it offers more bucket digging forces and lift capacity than its predecessor. The new electronically controlled pump, larger control valve and multiple sensors result in faster cycles. 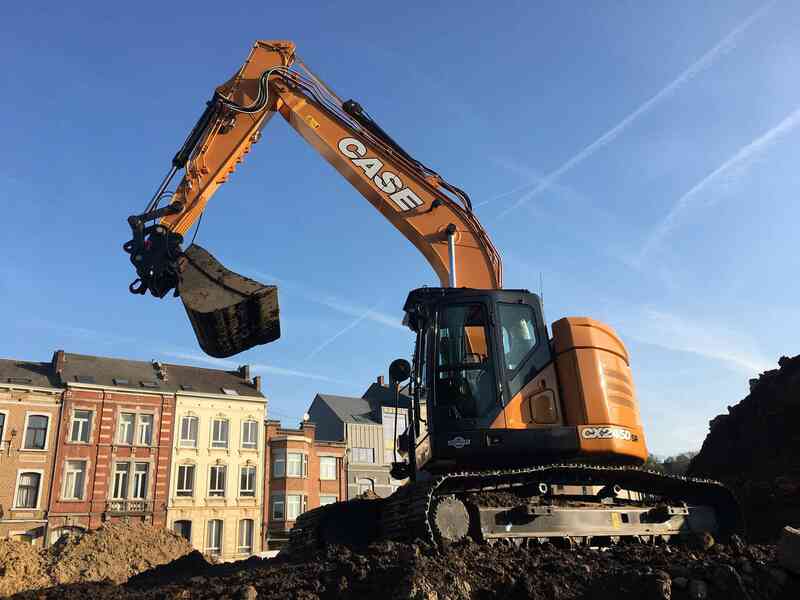 These features combine with the CASE Intelligent Hydraulic System and the CASE advanced energy management to make the best use of the machine’s hydraulic power and momentum, resulting in added strength, maximum power and fuel efficiency.